Do you want to purchase a property in Madrid, but need a little help with financing? Getting a Spanish mortgage is a very viable option for anyone with reasonable credit. As in other countries, there are fees associated with them. Although they are a little different than the mortage options you may have available in your home country, the process is quite transparent once you understand the details. Keep reading to learn the different types of fees associated with a Spanish mortgage and how to optimize them. For how much can I get a Spanish mortgage? Spanish lenders will grant mortgages to non-Spanish nationals. However, most will not lend more than 50% of the property purchase price. We spoke with a leading mortage originator from Banco Sabadell. She pointed out that the size of mortgage granted is a key variable in determing the terms of a mortage, as it is a way for banks to mitigate their risk. For example, you may get lower fees than you anticipated, but only 40% of your purchase financed. Current Euribor rate. Note that Euribor is adjusted every 15 days. Calculated ability for client to repay the loan. This is based upon the client’s work contract, assets and credit rating in Spain. Moving2Madrid has excellent relationships with key Madrid lenders. If you work with us, we are often able to get 60% financing for our clients. We have seen offers as high as 70% of the purchase price, but the other terms were less favorable. Key Takeaway: The amount of the mortgage granted is often a key bargaining point. Moving2Madrid has a tight network of lenders that we work with to help our clients secure optimal financing. To learn more, book a free consultation today! Hipoteca is Spanish for mortgage. Moving2Madrid has an excellent network of lenders- we are usually able to leverage this to achieve the best possible mortgage terms for our clients. A separate list of all real estate holdings you have (Bienes). Keep in mind that are extra steps, with associated fees, for those not used to buying a home in the Mediterranean. This is because all properties must be registered with the Land Registry, and go through a Notary. Although these transcations are technically separate from the mortage, the bank is liable if the purchase and mortgage are not registered properly. Thus banks are involved in this process and pass fees onto their customers. They either handle these transactions internally, or outsource them to third parties. If your Spanish mortgage is approved you will receive something called a FIPER. This is a document which states the details of the offered mortgage. It stipulates the mortgage amount offered, the term (typically 15-20 years), the interest rate and all associated fees. They typical duration of a Spanish mortgage is 20 years. However, this is sometimes dependent upon the age of the applicant. We at Moving2Madrid have always been able to negotiate 20 year mortgages for our clients. There are a number of large Spanish lenders. Our favorites at Moving2Madrid are Sabadell, Caixa and Santander. This is charged on every Spanish mortgage. It is not payable until the mortgage is granted and you start to draw on the funds. If you are granted a mortgage, but don’t aval yourself of it, you will not be charged this fee. Typically, arrangement fees are 1-2% of the gross loan amount. However, we here at Moving2Madrid are often able to achieve below that for our clients. The average for our clients is 1.5% and we have some with arragement fees as low as 1%. This is only charged in special cases. It is charged when the bank has to put extra time into researching the buyer’s creditworthiness. It is most often seen when the buyer is from a country they are not used to working with and presents a complicated country case study (Lebanon is a recent example of one of our clients). Study fees typically range from 500-1000€. However, Moving2Madrid has managed to get these study fees waived for all of our clients. Most Spanish lenders require that you have both life insurance (in case you die this provides funds for the loan to be repaid) and property insurance. This is a place to be careful as upselling insurance is a big profit center for Spanish banks when they originate mortgages. If you already have life insurance from a third party, a copy of the policy should prove sufficient. Spanish lenders are within their right to require home insurance on any property they finance. The bank must be listed as a beneficiary on this policy. The bank will offer to provide you with this insurance. However, you are legally entitled to shop around. Often times, insurance brokers will be able to offer you a better deal. Typically, home insurance amounts to about 0.15% of the property value and is best paid annually. Before entering into a Spanish mortgage agreement, the property must be valued by a third party. This used to be a side business for lenders, as they would often take a cut of the valuation fee. Now there is a law in place that requires lenders to accept all third party valuations, as long as the valuation company is registered with The Bank of Spain. Honestly, most banks offer very fair rates for this service. Going to the trouble of arranging your own valuation is typically not worth the effort. Valuation fees are usually around 0.1% of the value of the property. To be safe the bank will typically charge you a marked up fee for this upfront, then return any excess. Aside from the property purchase price and mortage fees, there are additional fees that must be paid in taxes, to the Notary and the Land Registry. These amount to roughly 10% of the purchase price. Typically the bank will handle this process as it stands to lose a great deal if the property, and mortgage, are not registered correctly. As in the valuation fees, they initially charge the mortgage customer a marked up fee, then refund the difference once the transaction has been completed. You will see these costs detailed in your FIPER. You may also be charged a “Private Administrative Management Office” fee, or Gestoría fee, which the bank also passes onto the customer. An Gestor is essentially a person that helps parties navigate the Spanish bureaucracy, and is well worth the minimum sums they charge. They typically amount to a few hundred euros on a Spanish mortgage transaction. Have all your paperwork in order when you apply for a mortgage. Be reasonable when asking for a mortgage. Don’t request more than 70% as you won’t get it. Have good quality, external life insurance in place. Get a second or third opinion. We recommend applying for a mortgage at two banks, possibly three. This will ensure you get the most competitive deal in terms of both maximum mortage granted and minimal fees charged. Our favorite lenders are Sabadell, Caixa and Santander. Work with an expert. 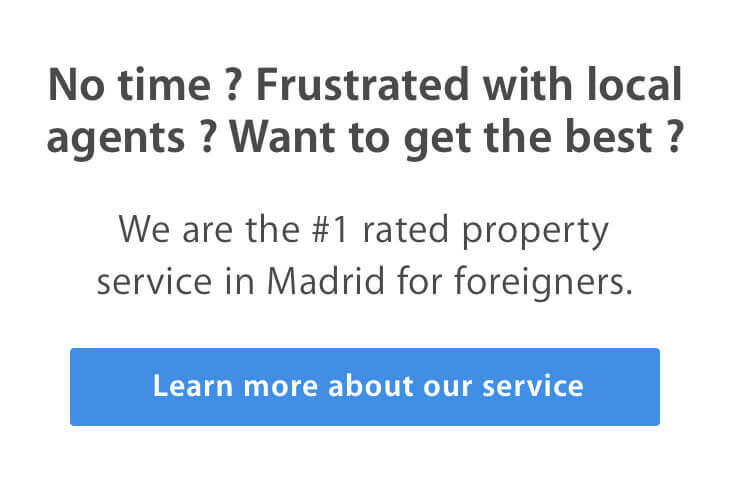 Moving2Madrid has excellent relationships with key Spanish mortgage originators. Thus we are usually able to help our clients achieve the largest possibly mortage with the minimum possible fees. Overwhelmed? Don’t be. We here at Moving2Madrid have helped hundreds of clients secure Spanish mortgages. Contact us today to learn how we can help you find your dream property and get the optimal deal on your Spanish mortgage.